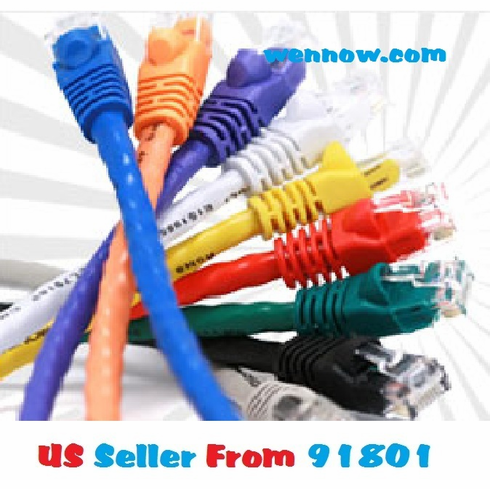 320615710310 Lot 50 0f 1FT Cat5e 350MHz UTP Ethernet Network Cable - Purple Cat 5e fixed length network cables are the perfect combination of value and performance. Available in a large assortment of colors and lengths, we have a cable to fit every situation. Each cable is made of 24AWG pure copper listed pair conduits with 50u" gold plated contacts (short body). Most budget cables skimp with 10u". Each cable features color matched, snagless, strain relief boots.